We can deliver a weekly, bi weekly or monthly beautiful seasonal bouquet on the chosen day of your subscription. Bouquet Box are renowned for creating stunningly inspired bouquets. 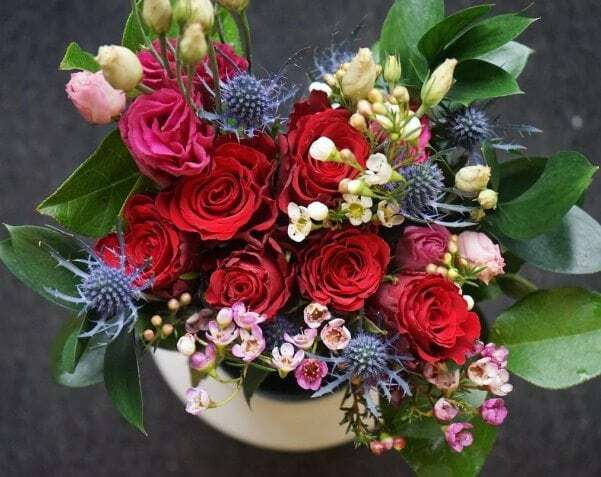 Our company is Dublin based and our aim is a simple one: to bring a fresh and inspirational approach to flowers, both in Dublin and across all other counties in Ireland. For only €20 per bouquet (inclusive of delivery) we offer regular flower deliveries right to your door. Our ambition & aim is to make sending and receiving flowers the simple delight it should be. Sign up here to order gorgeous blooms in just a few minutes. If you are a lover of flowers why not gift yourself frequent flowers that will make you smile every week, or month if you prefer. Or if you wish to treat that special someone, make their day by signing up to a flower subscription as a gift for them – remember you can pause or cancel the subscription at any time. There is no nicer way to keep your home or workspace bright & fragrant or show someone they’re always in your thoughts than with a recurring flower order. Our Subscription flowers offers the freshest flowers available delivered in whichever interval is ideal for you. Our quality guarantee ensures your premium blooms will arrive in top condition and last an extraordinarily long time. So why not sign up today and send beautiful, seasonal and bespoke bouquets to your friends, family and colleagues with a personalised message to show just how much you care…..